USWatercraft LLC, the Warren, RI-based parent company of six luxury brands including Alerion Yachts, True North Yachts and C&C Yachts, has appointed Sarah Angell as Sales Manager to support their growing worldwide dealer network. Angell, who has moved over to sales from a previous role of Marketing Manager at USWatercraft, has more than a decade of experience in the marine industry. 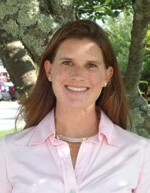 “I am pleased to have Sarah on our Sales Team,” said Randy Borges, President of USWatercraft. “Her understanding of our brands coupled with her track record of excellent customer service makes her an invaluable addition to the sales team and an important resource for our dealers.” With the launch of three new boat models in the last 12 months (the C&C 30 One Design, C&C Redline 41 and Alerion Cruising 41), USWatercraft continues to expand its dealer network, with dealers located on the West Coast, East Coast, Great Lakes and as far as away as Japan. Visit www.uswatercraft.com for more information.